The way you feel and think about yourself manifest outwardly into your world. But even more importantly, your beliefs color your perceptions of food, exercise and living a healthy lifestyle. When you once quit living in daydreams about what you would like to achieve and take the reins, take control of your life, you quickly realize that the solutions you’ve been searching for outside of yourself are inside yourself.The realization finally hits that fad diets will never be magic potions. You must care enough about yourself to take control and that includes the mind as well as the body. Thin people are more focused on eating right. They exercise regularly which helps not only their body image but it reduces stress…all factors that help to keep slim people slim. Stress can pile on the weight for many people, so the less stress, the less weight. Many times, especially with women who have raised families the mentality is to take care of everyone else. You become a martyr and spend your whole life giving. Giving and giving so much you nearly forget about YOU! Until one day you wake to disease, discomfort or depression about your condition. Of course we must take into account that about 30% of being thin has to do with our genetic heritage…but the remaining 70% is the environment your mind lives in, adopts and manifests. There are the “lucky” ones…those that grew up eating healthy unprocessed foods and actively exercising or playing sports. Most of these type individuals appreciate their healthy stature in life and continue the healthy habits into adulthood. Another factor playing into keeping people slim is that slim people do not skip meals. They start their day off right with a nutrient rich breakfast. As the day progresses they do not allow themselves to get hungry but neither do they jump the minute their stomach rumbles. Let’s face it once you get ravenous, you are much more likely to over-eat. Not only will you over-eat but you will eat nearly anything to satisfy your now famished body. Must I even bring up exercise? Regular exercise is important to slim body weight. Thin people are more likely to walk when possible or stand rather than sit. Bottom line is they move around a lot more than fat people. But until you take the reins and take control of your life, you remain a hamster on a wheel, eating too much that keeps you from exercising and getting healthier. You keep ending up at the same risky uncomfortable, unhealthy spot. You need to untangle that mess in your mind, get control of yourself…decide to do it for yourself, not for anyone else, and begin to exercise and eat right. Be aware however that in order to “do it right” you must have a nutritionally dense diet. It is no longer just about dieting and exercising to lose weight. For beginners, there are simple steps you can take to start you on your weight loss program…take walks and when you have the opportunity to make yourself walk rather than drive…such as picking a parking spot that is not right on top of the entrance, take advantage of it and park a distance away and get that exercise in. You might be surprised to find out that once you begin exercising in some form you will become much more aware of what goes into your body. For those that have tried reducing their food intake and exercising but still find themselves locked into weight they can’t seem to take off and are looking for answers to this absolutely frustrating and mental attitude killing “Stop Weight Loss Resistance” is your answer. 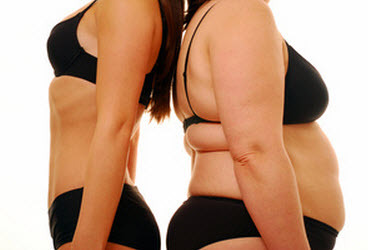 Inside you’ll find the answers to taking off that stubborn weight and keeping it off forever!